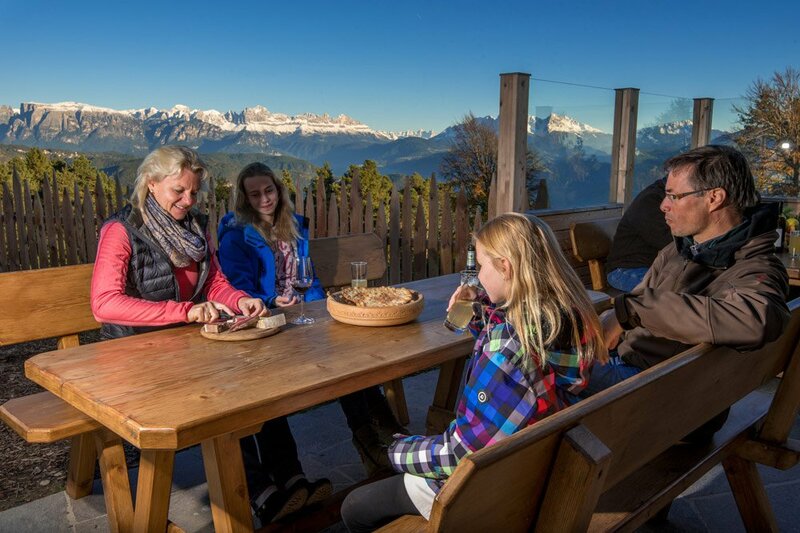 As it is typical for a real South Tyrolean farm with guests service, our guests or occasional visitors can taste a small but tasty snack from our regional cooking. 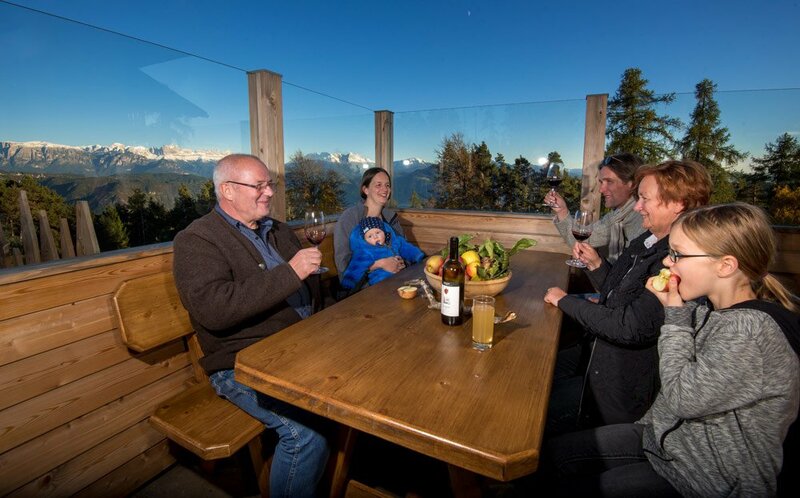 We combine it with different home-made fruit juices, a local wine or a fresh beer. 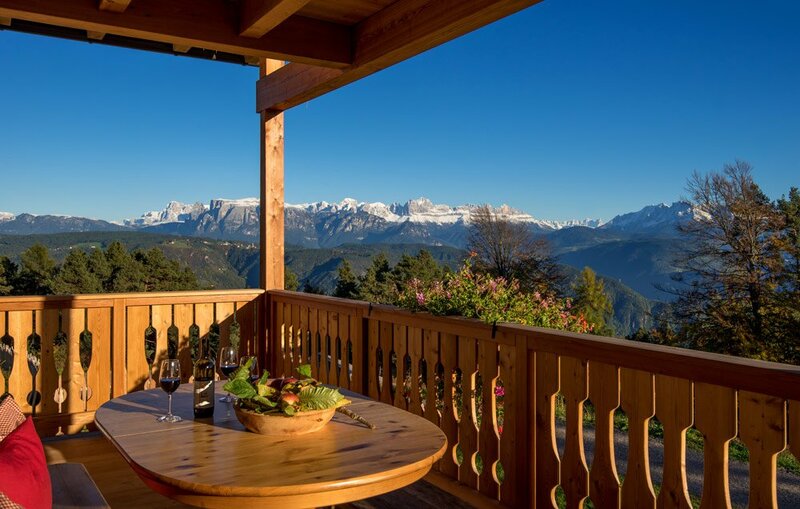 Our farm bar in San Genesio will welcome you with its wooden stube in Swiss pine. and its cosy atmosphere. Our farm bar in San Genesio give you the right refreshment to snack on and represents a welcome pause after a long hiking day. 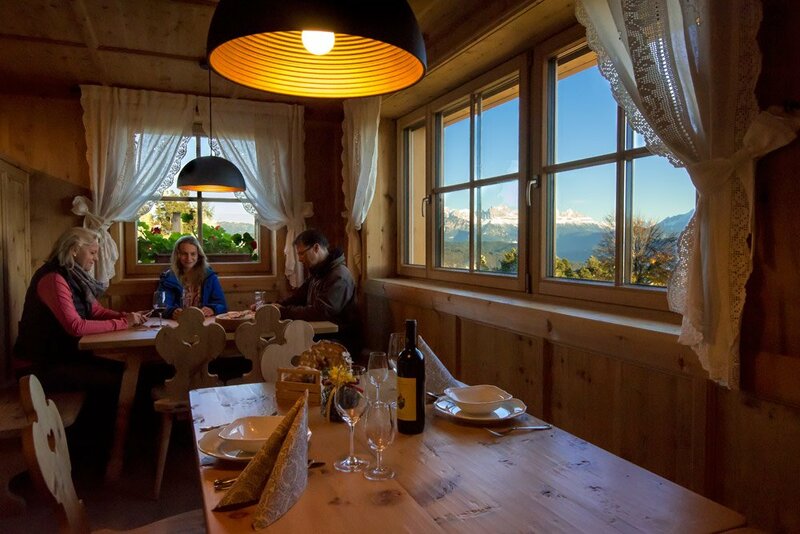 Sitting at our rustic wooden tables you will experience an overview of how in South Tyrol engagement, the magic of a unique landscape and a rich snack with a good refreshment go hand by hand.